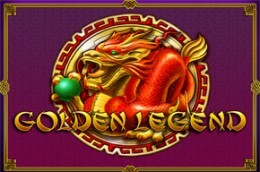 Golden Legend is a Play’n GO slot machine with an ancient Chinese theme. This slot has 5 reels and 50 paylines. Golden Legend is the right place for you to play and if you are lucky you can benefit from a really big win potential hiding in its reels. Their motto could be “with high risk, comes high rewards”. What makes unique this online slot is the 4000x your bet top win. You can access Golden Legend on PC, laptop, smartphone, iPad, iPhone or tablet.